Miyamoto believes players need to play Wii U before grasping "how fun it is"
As part of an extensive interview that's been published by GameSpot, we've already been given an idea of Shigeru Miyamoto's perspective on Luigi's Mansion: Dark Moon's role as "lighter fare" on 3DS. 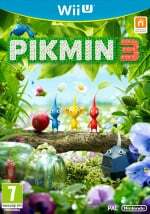 Naturally a big topic raised with the executive producer was an upcoming release perhaps most closely developed by the man himself — Pikmin 3. While its delay into Q2 was disappointing for many — Miyamoto says it "sort of shifted" as opposed to being delayed — it's nevertheless a big release on the horizon for Nintendo's latest home console. As a title that apparently saw early conceptual life as a Wii project, and with hands-on demos placing great emphasis on Wii Remote and Nunchuk controls, the question arises whether this is a game truly making best use of the system and its controller. As we'd expect from Miyamoto, however, his primary focus is on the experience, and how the hardware can expand it beyond what we've seen in the franchise up to now. In the case of Pikmin 3, we've taken an approach with that game where we really want to take what made the original Pikmin game unique and really simply go deeper with that experience. And so what we've done is by taking advantage of the GamePad--the second screen there--and the HD graphics that are capable with Wii U and the higher processor--we've really been able to take that original Pikmin experience and do something that is much deeper and more fleshed out this time around. ...When I create a game, I don't necessarily always try to approach it from the idea of leveraging every feature or every ability of that new piece of hardware. In the case of Pikmin in particular, the approach that we took was really less of an approach of how can we […] take advantage of what the Wii U is doing, per se, and instead how can we take what was that Pikmin experience and really make it a deeper experience for players. So of course we're taking advantage of the graphics and improving the play control and whatnot and I guess if you were to look at it more broadly, you might not necessarily say that it would be impossible to do it on another system. But I guess speaking plainly, the idea is really that Wii U is the best system to be able to achieve all of the different things that we're trying to do with this new Pikmin game. One of the biggest features of Pikmin 3 is the fact that you have the map on the GamePad at all times and because Pikmin is a strategy game, it's the type of game that you might play the same levels over and over again. Having that map--and the fact that you have the three different leaders that you switch between to command your Pikmin--and having the touchscreen on the map will allow you to change perspective or jump to a specific leader and quickly give orders. It makes it much more efficient for you to achieve the goals that you have strategically within the game. Naturally the subject of Wii U's reception so far was raised, with sales struggling in recent weeks — arguably due to a scarcity of high-profile releases. The games are getting closer, of course, and Miyamoto admitted that the concept of the system is perhaps harder to sell than the Wii, until gamers go hands-on and experience it for themselves. I think it's very common for Nintendo products to be the type of thing that until you play it, you don't really understand how fun it is. Wii had an advantage, because watching people play it looked interesting. When you saw other people playing a game that looked interesting. But even then, it was still the type of thing that you had to play it for yourself to confirm. And once you played Wii, people had instantly a lot of fun. And what that did was reinforce for them that what they had seen was in fact true. Certainly, I think that helped Wii. From that perspective, I think Wii U certainly has a little bit more of a challenge because it doesn't have that 'looking-fun' element to it. But I think that as people bring it into the living room and begin to play it, particularly when you experience with five people, you really do get a sense for how fun Wii U is. And I think that's the key; to try to get as many people to try it out as possible. Even with Wii, if people played a game, but it wasn't fun, it would't have had the result that it did. So I think the key for us is continuing to focus on the fun of our products. ...I think the key thing is to give more people more opportunity to come in contact with the system and play it. One of the things in Japan that we had been doing, is we had been careful because we wanted to make sure people understood it properly. We had been giving as many opportunities for people to try it out at demo units, at retail, or ensuring that there was somebody there to demonstrate and make sure that they were getting a proper understanding. But I think what we're finding now is we really just need to get as many people as possible to get their hands on the system so that they can see how fun it is. What do you think of these comments regarding Pikmin 3 and Wii U as a whole? Are you optimistic about the third entry in this series, and do you agree that Wii U's experience is a big enough selling point with hands-on experience? I'm glad they've been taking their time rather than trying to rush it to release though. I'm glad they held it back to really take advantage of the hardware and make it a full Wii U game, not a Wii port with obvious last-gen visuals and tacked-on controls. If I'm going to pay $60 for it, I want the best they can give me. The longer they take to finish this, the higher my expectations are going to be for it! I like the fact Nintendo tries to fully polish their games before release. Thats how it should be! Other developers should take note. Sorry for being sarcy, anyway, I can't wait for Pikmin 3. I wonder if its exposure in Nintendo Land will help make it a bigger hit this time. There are a few glitches but you have to look for them in my experience. Keep on saying that ppl can't appreciate Wii U until they tried it. I tried it. Didn't convice me. Games that would make me willing to spend my money on an otherwise prehistorical console? Anyway, jeez...quit saying "it's really fun,folks! Just buy it and try it!" If they want people to experience it, put demos on the kiosks. I was in Nintendo World on Sunday and my kids and I played Nintendo Land and now they want a Wii U and the game. See how easy that was Nintendo? It's called marketing, you should try it sometime. Are we really getting Pikmin 3 in Q2, April to June? Time is getting short and it still seems like they are "working" on the game. He never says things like "finishing touches" or "testing" or "almost done", it's just always about all the new stuff they are implementing, like that camera they were talking about adding in during Nintendo Direct. They never talk about anything past tense in developing this game, it's always ongoing. Given that a game of this caliber probably deserves a 2 month heads-up on the release date I guess they can just squeeze in June at the earliest and still make Q2. Too bad, with those Pikmin colors it would have been a perfect game to market during Easter. The Wii U is a lot of fun. I hope people jump onboard once there are more games available. Give us a release date already! Now I'm calculating late May. Very much looking forward to this game and hopefully this will give the Wii U the sales boost it needs. I guess Reggie does want to be a purple Pikmin.......lol. Miyamoto and Sakurai are the only people that I don't care if they delay their games...(even though waiting is a pain for me, lol) We all know their games turn out epic anyways. ^^ Its well worth playing the first 2 before Pikmin 3, not because I think it'll be necessary but just because they're both excellent games and you can pick the 'New Wii Controls' versions up fairly cheap now. As for Pikmin 3....can't wait, get it out already Nintendo! @Jaco @LDXD I had been curious about Pikmin for years,what with the way everyone talks about it and it somehow passing me by on my Gamecube.I saw NPC Pikmin 2 for cheap a few months ago so I picked it up to see what all the fuss was about.After playing it for an hour or 2 I really didn't like it at all and was disappointed to say the least but then a few weeks later I decided to give it another go and then it clicked.I absolutely love it now,so much so that just talking about it has convinced me to play through it again.As Nintendo likes to say,you need to play it to get it! I'm assuming we won't get release dates for Pikmin and the other long awaited games (Game and Wario, Wonderful 101) until Lego City and Monster Hunter come out, so we don't hold onto our money and wait. But let's be honest, I would imagine 9 out of 10 people who own a Wii U are going to buy one of the two or both of them ASAP. I'm really worried about all this talk of making it like Pikmin 1. Everyone else is seeing it as a return to more strategic gameplay, but I'm scared out of my wits that I'm going to pop the new game in my Wii U and find that it doesn't have the enormous amount of content that Pikmin 2 did. 1 was great, but it takes about five hours to beat. I'll take the 25 hours of 2 any day. Please, please let the game have caves. I dunno about kiosks in Japan but in NA they were terrible. They just advertised launch games that later wouldn't make launch instead of giving you a demonstration. They should have just put that Zelda tech demo in ad let people toggle the light and switch to the gamepad for better results. Looking forward to more pre-release press and footage of pikmin 3. It just isn't getting to that stage, I thought I'd be playing it by now. If Nintendo is smart, they will hold off some of their A+++ titles (Mario Galaxy U, Zelda U, Fzero U) to release just before the PS4/XBox hit the shelves. But at the same time, they have to have a compelling library to make people choose Nintendo in the first place. Sadly remakes that have been out on other consoles for ages just aren't a compelling reason to buy a console (unless like me you've been under a gaming rock for a decade). Keep making great game Nintendo! Get some out ASAP and then sit on the gems until E3 obviously. I'm really optimistic and I think very little, in terms of how the hardware works, needs to be changed. The wiimote/nunchuck combo worked so much better than the gamecube controller and I really don't see how it can be improved with the gamepad. The latter should stay with the map and allow further interactivity with the mapscreen than would've been possible in the original 2 games without the gamepad. The camera function too is looking sweet as you like and I can't wait to use it. An option where you could replace the captains with miis would be kool but maybe only for the multiplayer and challenge modes. They said "deeper" like three time. This must confirm that caves from Pikmin 2 are returning! Can I use a stylus like in Nintendo land? This is nice and all, but tell us what the release date is already! 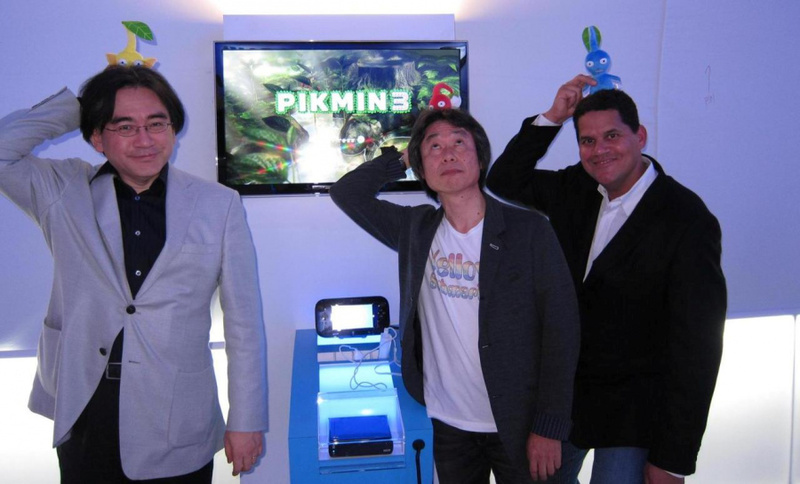 Miyamoto is completely out of touch, and Pikmin 3 is not going to be fun at all. I think Pikmin 3 will be a fun game. Though it was originally built for the wii, and has found its way onto the Wii U instead. While what Miyamoto's talking about might be useful, the gamepad in this instance is still just being used as a way of reducing UI clutter. I don't think that moving the map to the gamepad is a game changing mechanic. Apart from the asymmetrical Zombi U multiplayer, i'm still unsure how the gamepad is going to be used in a way that actually 'innovates' in a single player experience. I think people will eventually come up with some interesting ideas, but until we see games that are actually built from the ground up to utilize the gamepad in a unique way that goes beyond simply reducing onscreen UI clutter, it's not conveying its potential to prospective buyers of the system. The other potential problem i see, is that having to focus on both the screen and the gamepad at the same time is going to be something of a challenge, if the gamepad is going to be used for something other than maps & inventory. Obviously games take time to make, which is a problem for Nintendo. They have a new unique console, but they have no games to illustrate how it might offer experiences that are more interesting and fun than what the competition offers. Now that I'm playing the original Pikmin, I'm really looking forward to what they do with the third game. I have to agree with Miyamoto on the Wii U not being as fun to watch and therefore understand. It's definitely a challenge Nintendo needs to work around. I've always liked how focused Nintendo is on making sure their games are as polished as possible, and makes sure a feature makes sense in a game before putting it in. That being said the one thing that bugs me is how they keep emphasizing asymmetrical game-play, as if they don't realize playing together locally is only an every day thing in Japan. Its great when your able to make regular use of it but everybody else might start to think thats the main point to the Wii U and steer clear. It doesn't help that you use the Wiimote+nunchuk to for multiplayer, something you can already do on the Wii. I'm still excited, but disappointed that he just wants to "go deeper". It's been 9 years since the last Pikmin game, and I don't think people will be satisfied with more of the same. Pikmin 3 was the main reason i wanted a Wii U. Will be purchasing the game day one, whenever that is. It's gonna last a lot and it's gonna point on the fun aspect of gaming. Nintendo it's always the same, crysis averted. PS: After this interview Nintendo's Nikkei stocks got high as never lately. That's our way of saying, glad you still are there. this game will be EPIC!!!! I don't believe this. I have seen absolutely no evidence that Nintendo is willing to do anything BUT give players the same experience over and over. @Haywired The map on the secondary screen is particularly useful in a game like Pikmin. I'm really looking forward to it. And that's something I've been wondering as well, about the Nintendo Land exposure. Plus, all the Miiverse comments will undoubtedly serve as some pretty good advertising (the secret reason Nintendo likes the Wara Wara Plaza). Pikmin has a shot at becoming much bigger than previous entries. I hope so, but we will see.